FOX News host Sean Hannity reported on Wednesday that fellow network host Jeanine Pirro would return on Saturday after her evening show ‘Justice’ had been bumped for two weeks following a controversy over her remarks about a Muslim congresswoman’s loyalty, or lack thereof, to the US Constitution. 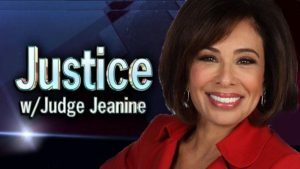 The Hill Pirro’s Saturday night program, “Justice with Jeanine,” was bumped for two weeks after she suggested Rep. Ilhan Omar‘s (D-Minn.) religious beliefs were at odds with the Constitution. Apparently, FOX News’ initial repudiation of Pirro’s opening statement about hijab-wearing CongressMuslim Ilhan Omar emboldened radical Islamic groups like CAIR to lead the campaign to get her her show off the air, demand her firing. Designated terrorist group CAIR, a noted un-indicted terror co-conspirator and hate crime hoax spreaders, has been waging a relentless campaign demanding her firing and calling on all the shows sponsors to boycott the show until she is fired. CAIR’s action alert directly emailed Fox News and the leadership of corporations that advertise on Fox News, including ADT, Allstate, Chevrolet, Dine Brands, Experian, HomeAdvisor, Office Depot, Procter & Gamble, and Progressive. Even though she will return to FOX this weekend, CAIR is not finished with Judge Jeanine Pirro. 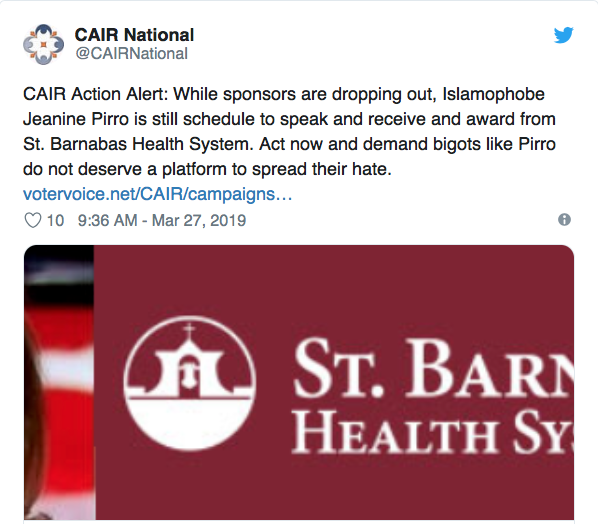 They are out to destroy her and are calling on radical Muslims to bully St. Barnabas Hospital to drop Judge Jeanine as an awardee. Judge Jeanine has a history of exposing the ugly truths about Islam that even the most conservative of TV commentators avoid like the plague. Good has won over Evil !!!!!!!!!!!!!!!!!!! I agree with you 100% Steve. Donna Brazil is a greasy bag of fat. This woman has never never never ever answered a question. She brags on about herself and her greatness. What a dumb choice to put on Fox News. She’s a cheat, (giving Hillary the answers at CNN debate) she’s part of the fraudulent CNN and MSNBC and NBC. They are being brought down finally finally and yet Fox puts her on as a commentator. Nobody but nobody wants to listen to anything she has to say. My God Fox go find somebody else. As for Judge Janine I hope she tells the story exactly what happen after her Islamic doctrine to sharia law and our Constitution. I’d like to know exactly who said what to her. I’m sick to death of the slow push for sharia and compliance to this evil. Currently we have 8 states that do not allow sharia in the courtrooms. How come only 8? CAIR should be determined as a terrorist organization because they are the Muslim brotherhood. That number should be much higher by now. At least half the states have considered doing that. It should be all. Then citizens (anchor babies not included) should be able to make up laws as they see fit. Our own corrupt& government doesn’t follow the laws of the Constitution and immigration unless it’s to push their agenda. What applies today, may not tomorrow. Just ask that HOE!!! Kamala Harris!!!! The Muzzbrotherhood and its allies will be soon in Trumps examination magnifier. Good news. I need to get OAN. 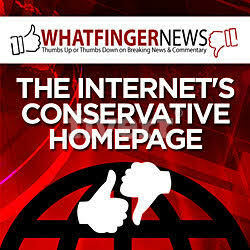 The way Fox is going, Judge Jeanine may have to leave permanently in the near future. My new FOX!!!! To me it’s not biased. I see fox beginning to fold under pressure. They also got pressure to put Judge PIRRO back on or else. Maybe the #walkaway movement scared them. We were turning off and unsubscribing. Oh, good, I wrote to the address you gave asking that she be reinstated! Thanks for giving it! off topic but a curiosity. google cair backwards. ref. to somalian immigrants. RIAC. I saw Hannity last Wed. saying Judge Pirro will be back this Sat. I think I heard she will be with Mark Levyn . I was so angry and disappointed in FN , which is the only news channel I watch…the others are all FAKE NEWS, Trump bashers.I stopped watching FN for a while..sometimes Hannity, Tucker or Laura Ingraham. I hate when FN , to be fair and balanced ,has leftist guest, apologist for the demonrats or islam ,screaming and defending the insanes…they even have a muslime…Mo.to disguise the repulsive complete name that we all know what it is. I think if you call up that repulsive name in the ME , 3/4 of the male muslime will stand up.. 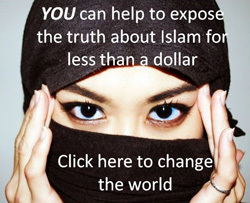 When the lefties start having diarrhea of the mouth , I press the mute button…like the idiot ugly female in NZ who was all shook up and almost in hysterical tears after the shooting in the mosque…but there is no reaction or even mention of the thousands of Christians slaughtered by demonic muslimes around the world.The ugly female from NZ is always wearing a hijab…maybe she converted. 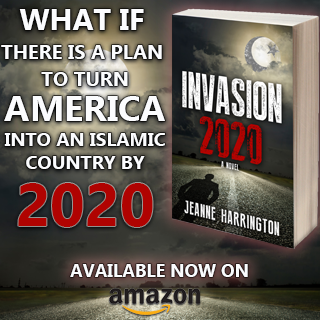 I hope Judge Pirro didn’t sell her soul to the devil to keep her job at FN and is now muzzled, sanitized and zombified by CAIR.. She should show what are CAIR’s intentions:To take over the US and the west from inside and plant Sharia as the law of the land..
She is too good , too smart, too eloquent to bow to these miscreants. ..and she said the truth about the muslima and Sharia. Little by little as the muslime population grows they are getting more powerful and voting their own into the government and into power. I am really worried about them being voted in any position in the government and swearing over the Bloody Koran!! What a sacrilege!! I know a Coptic Christian from Egypt. He said the muslimes DON’T ALLOW anyone who is not a muslime in a position of power..even the police is all muslime. When a Copt is attacked by a muslime the police only stands there and does nothing…as their good law dictates. Our freedoms will be our demise, I’m afraid. And Judge Pirro is a pleasure to look at, besides being smart, well educated, eloquent, she is so pretty and elegant. What a difference fom these fat and ugly muslimas with a rag over teir heads. MTM, you can expect FOX to lean more and more left now that Murdoch’s two liberal sons are in charge. Much like the SPLC, CAIR should have NO credibility whatsoever. It’s the moronic apologists in the Ruling Class and the mainstream media that prop them up. They need to be exposed for the traitors they are. Very happy to hear she will return. Shame on FOX in the first place. Would vote for her if she ran for president! Grudgingly, given the bloody mess women in politics have created in much of Europe; I think if I were American I would probably vote for the judge. Certainly, for me, she is the main reason for watching FOX, although Hannity and the Swede (Tucker) are good. Like MTMLA above, I too hope she has NOT backed down just to keep her job; that would be a tragedy. She doesn’t strike me as the type to back down. That’s why she’s so popular. I hope we will find out what kind of a “deal” was made or what restrictions were placed on her for future shows. Considering the left bent of the Murdock brothers, the CEO and Fox hiring Donna B who gave Hillary questions to the debates on CNN I am very suspicious of what is going on behind closed doors and out of public view.